The Inside Ride Is Coming Once Again! Mark your Calendars - November 4th! National Partners, Coast to Coast Against Cancer Association and their Inside Ride is coming to town in support of Island Kids Cancer Association. Money raised will benefit our CARE 4 Kids Program, providing outreach and support to kids with cancer and their families from across Vancouver Island. This is a local event and funds will remain on Vancouver Island! This is a party with a purpose and a ton of fun! A team fundraising event where 6 riders cycle for 10 minutes each for a great cause. Awards are given to the team with the highest mileage, spirit award, best costumes and highest fundraisers. So get your team together early and register soon! “Jam for the Kids” is a concert fundraiser supporting the Island Kids Cancer Association. The event has been an annual fixture since 2011 and is back by popular demand! Our families struggle with not only the emotional but also the financial challenges of having a child diagnosed with cancer. Funds raised at “Jam for the Kids” will be used to fund family financial aid (such as meal cards, gas cards, and funding for specialized feeding supplies not covered by the government), mental health support services for families (including bereaved families), as well as imminent clinic needs (such as equipment, education, play therapy resources, and adolescent and young adult group events). On Friday, October 19, 2018 “Jam for the Kids” is being held at the Belfry Theatre. We are in need of donated prizes for a silent auction that will be held at the concert. Please do not hesitate to contact me at the e-mail below if you would like more information about the event. Tickets can be purchased through the Belfry Theatre box office at 250-385-6815 or on-line at https://tickets.belfry.bc.ca, starting on September 4. Monetary donations would also be greatly appreciated. If you wish to donate, cheques can be made payable to Island Kids Cancer Association (please write “Jam for the Kids” in the memo line). Charitable tax receipts will be provided. Please e-mail me directly if you would like to make a donation. Please seriously consider making a contribution to this most worthwhile cause. **To get to Layritz Park, turn off Wilkinson Rd onto Glyn, then right onto Layritz Ave. which dead ends into the park. Paddle for Health is a paddling fundraiser where proceeds go to our very own Island Kids Cancer Association! No previous paddling experience is required. A team of experienced guides and safety crews will take care of you every step of the way. Launching from Willows Beach you are in for a beautiful morning of relaxed paddling past Cattle Point into Cadboro Bay to Gyro Beach where we’ll stop for a leg stretch and snack break before paddling back to Willows Beach to a waiting BBQ lunch with great company for a great cause! You can participate with a voluntary $50 donation upon sign up with additional pledge collection expected. Kayaks and canoes available to borrow are limited and can be requested at registration. Pediatric Oncology Families can participate at no cost. Please contact Susan Kerr at islandkidscancer@gmail.com if you want to take part in this fun event! We look forward to sharing with you a day filled with smiles, prizes, Paddle for Health T-shirt, BBQ lunch and inspiration! Bring whatever works for your family - do not let food prep or lawn chairs become a hurdle limiting your enjoyment of this opportunity to spend time together. Pizza or other take-out is totally valid. The idea is to get together, build community, and the let the children play. Michelle and I will be there no matter what, so come if you can. We are looking forward to seeing you and meeting new families. I will bring my portable gas BBQ with plenty of gas. You are welcome to use it! Michelle will bring condiments so you don't have to lug those along. Note: if you don't have some of these items, don't worry. Others will have some to share and we're a generous bunch. Power to Be (a nonprofit organization that empowers people to explore their abilities through inclusive nature adventures) is leading our June IKCA event at the Victoria WildPlay Element Park. Come and challenge yourselves by swinging through the trees on suspended obstacle courses and zip lines! PISE has offered the use of their gym once per month for Island Kids Cancer Kids and Families. This is a fun, active session for the whole family. Games and activities will be played that are adaptable to any age and skill level, with the emphasis on participation and enjoyment. There will also be some free time for you and your family to play a sport or activity of your choosing, such as basketball or building with big foam blocks. Learn some activities to try at home and explore different movements ! We will have access to a room for coffee and tea for those who want to chat. There are also many amazing trails near by ! Please RSVP to Susan Kerr at islandkidscancer@gmail.com. Island Kids Cancer Association is pleased to help facilitate drop-in chat sessions for parents/caregivers of children on active treatment or in long-term follow-up. Topics of discussion will vary and be based on input from you! Please note that the Tuesday June 5th parent chat session (previously scheduled at Jeneece Place) has been CANCELLED andit has been added into the Pacific Institute for Sport Excellence (PISE) Gym time scheduled for June 10th. There is a board room with snacks/tea/coffee for the parents, as well as hiking trails around the facility. Please see June 10 PISE event listing, and contact Susan Kerr at islandkidscancer@gmail.com with any questions. Equine and animal assisted therapy and learning, equestrian camps and related programming. This is a drop in - free event for all families to meet everyone at PISE and to try lots of different recreation activities. 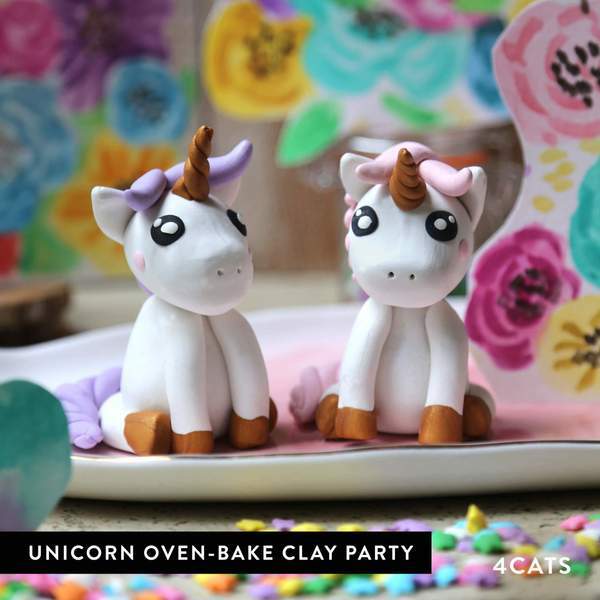 4 Cats Outing - Oven-Bake Clay Unicorn Making!! April 29th at the 4 Cats Uptown Location #103 3450 Uptown Blvd. @ 2:00 pm. Project - Oven Clay Baked Unicorns that can be completed and taken home the same day. Just in time for Mother's Day! Please RSVP to Susan at islandkidscancer@gmail.com before April 22nd. We're sorry to announce that this event on Sunday April 15 9:30-10:45 has been CANCELLED. Any questions, please contact Susan Kerr at islandkidscancer@gmail.com. Join us at Langford Lanes (1097 Langford Parkway) for pizza lunch from noon-1:00PM followed by bowling from 1:00PM-2:30PM. Please RSVP to Susan Kerr at islandkidscancer@gmail.com no later than March 1 to confirm your participation. Island Kids Cancer Association is pleased to help facilitate drop-in chat sessions for parents/caregivers of children on active treatment or in long-term follow-up. Time has been booked at Jeneece Place so that parents/caregivers can drop in from 7:00 pm - 9:00 pm. Topics of discussion will vary and be based on input from you! Here are the upcoming dates for Parent Chat Sessions: Thursday February 15th, Thursday March 1st, Tuesday April 3rd, Thursday May 3rd, Tuesday June 5th. Come out and meet some other Oncology families in the community! Join us at Oaklands Community Centre (2827 Belmont Avenue #1 ) on February 4th from noon - 3:00 pm. No need to sign up, just drop in and please bring a meal or snack to share. Just a reminder that the PISE (Pacific Institute for Sport Excellence) Physical Literacy Program will be starting up again! Click here to learn more about Physical Literacy. This year will be a bit different from the previous years in that it will be open to other kids and families with health challenges. There are programs currently for kids ages 18 months-10 years. If you have a child who wants to participate, but is over 10 years of age, please contact Susan Kerr. We understand that it is hard to commit to every class, so please feel free to sign up and inform Susan on your ability to participate class by class. Parents can work out in the facility and will have a strength and conditioning coach available to them. There is no cost to you or your family as this is sponsored by Island Kids Cancer Association. Siblings are strongly encouraged! If you would like more information, or would like to sign up for this program, please contact Susan Kerr (susekerr@gmail.com or 250-888-5862). Questions are encouraged and welcomed!